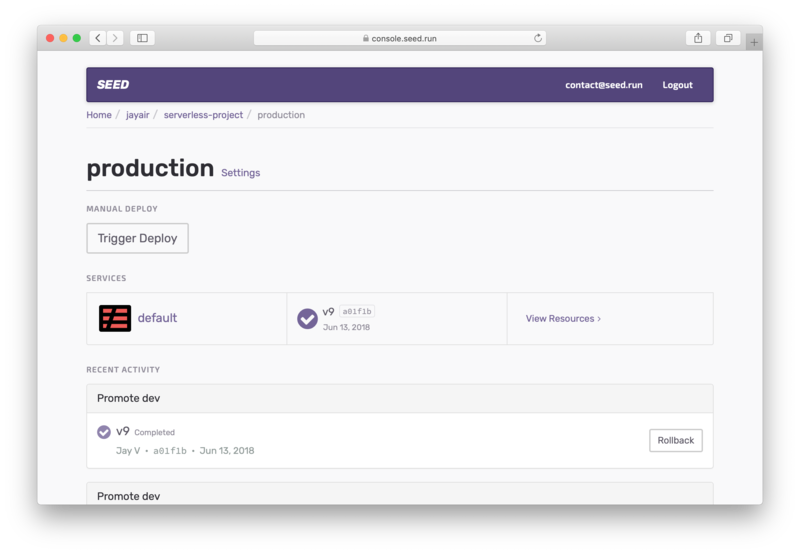 Seed can help you configure a custom domain for any of your stages in your project. Currently, Seed only supports the configuration of domains managed by Route 53. You can read more about migrating to Route 53 here. 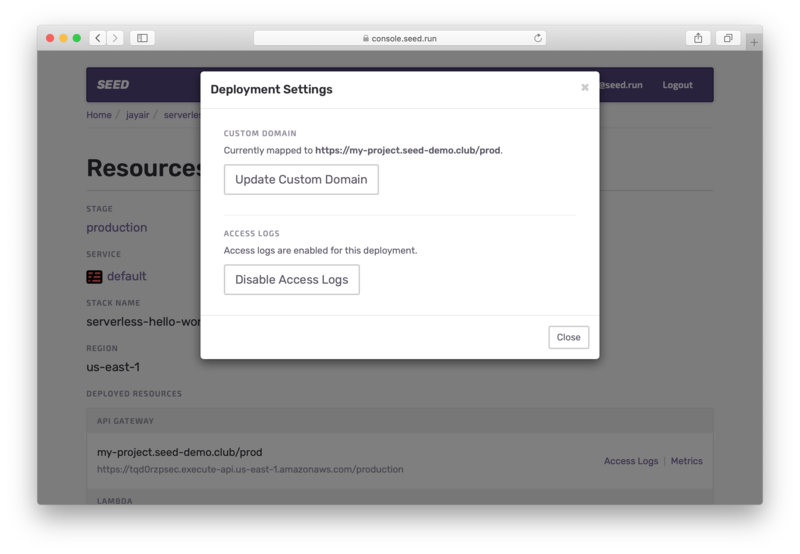 Seed does all the configuration on your behalf using the IAM Role assigned to it when you created the project. Just ensure to give it the appropriate set of permissions as outlined in the Customizing your IAM Policy chapter. To configure a stage with a custom domain, Seed will automatically create the SSL certificate using AWS Certificate Manager and assign the requested path and sub-domain to the API Gateway stage. 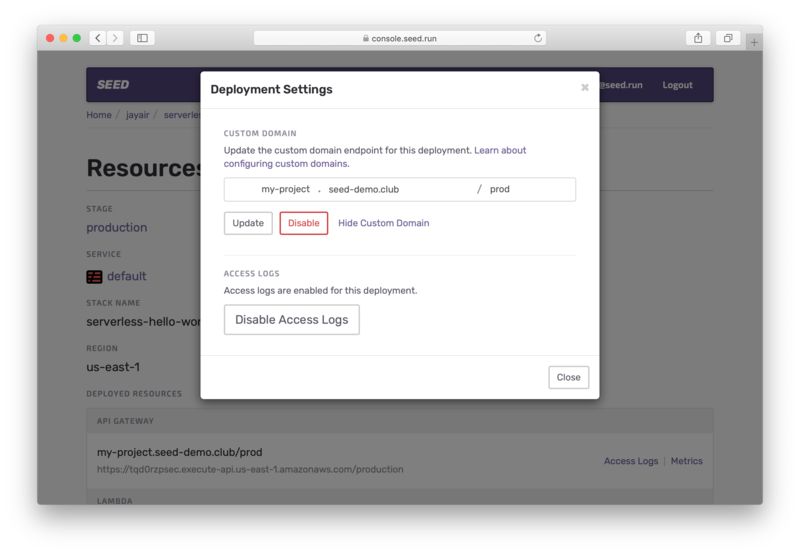 To configure the custom domain for a service, head over to a stage you want to configure. And click View Resources for the service you want. And select Update Custom Domain. Here you can pick the sub-domain, domain, and base path for the stage. 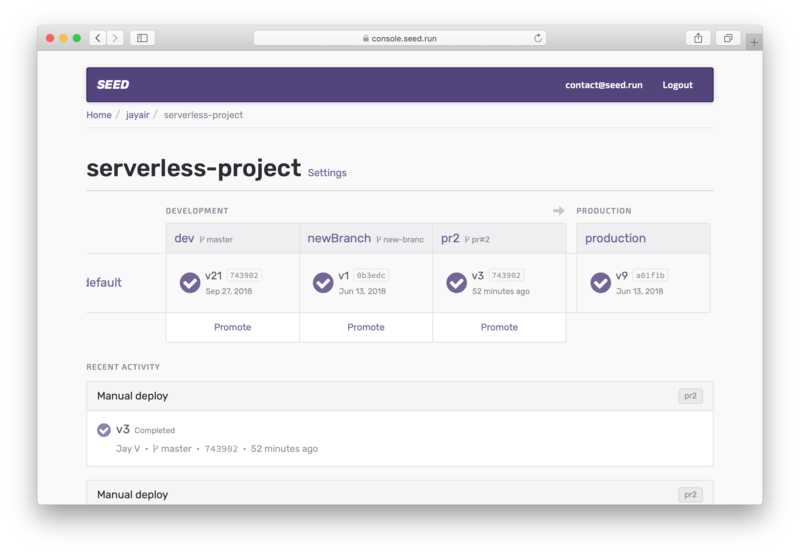 For example, to configure your stage to api.example.com/prod; you can set the sub-domain as api, pick example.com as your domain, and select prod as your base path. And hit Update. Updating the custom domain for a stage can take up to 40mins, since the SSL certificate and the API Gateway CloudFront Distribution need to be configured. If you have any questions or are running into some issues configuring your custom domain; feel free to contact us. Seed will let you know if the given base path is in use. In this case you’ll need to disable the stage that is using the base path. If a stage is configured to the root base path (/); you will not be able to configure another stage with any other base path for that domain (or sub-domain). 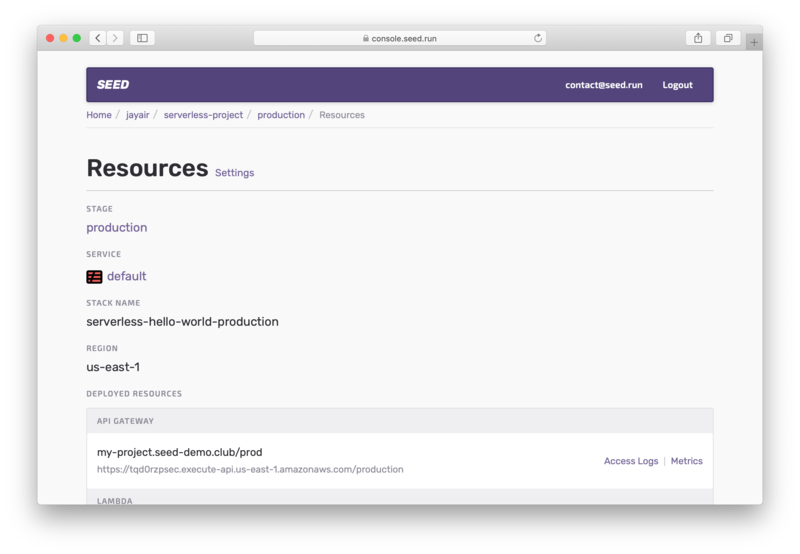 For example, if you have api.example.com/ configured to a stage (where / is the base path). Then you will not be able to configure api.example.com/prod for any other stage. Finally, you can disable the custom domain for a stage. Just hit the Disable button in the Update Custom Domain panel.